The pump is waterproof and sports a Swiss-built DC motor and full-sized 300 unit reservoir. It is the lightest pump available at only 1.8 ounces, with a size 12% smaller than the Paradigm. The menus are icon-driven with a large display screen, although the screen resolution is not great. Power is derived from a single proprietary 3.6V battery which lasts 2 to 3 months. The DANA II offers some unique features such as preset meal boluses. With this feature, standard boluses can be set for breakfast, lunch, or dinner to allow quick coverage of standard meals, although true carb counters may frown on this simplistic approach. The pump also has a Guided Management approach where a pump lockout can be set for children, or a 30 minute melody reminder can be set following boluses. The DANA II pump and supplies are priced competitively at 20% less than other pumps and supplies in the US market. 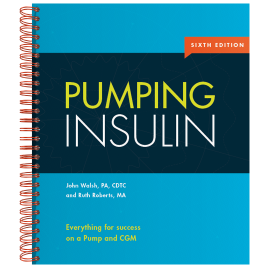 This is especially helpful for those who pay out of pocket for their pump. One disadvantage is that the pump has a proprietary reverse luer lock connection between infusion sets and the hub, so only Dana infusion sets will work with this pump, and procrastinators may want to think twice about this pump if they order supplies at the last minute. Only metal needles are currently available, but Teflon sets are expected to arrive sometime in the summer of 2002. The small size and lower retail price bring Dana pumps to the attention of many, especially the cost conscious and HMOs who are trying to limit costs.